~Tableau Vivant and Glam Affair~ SALE! Have some news for you all that I am pretty sure you are going to love! We are making room for more upcoming releases and to put out past event items soooo guesss what? There is a huge sale happening at Glam Affair and Tableau Vivant! Sale will start at 9am SLT today and end at 9am SL on April 27th. Almost everything is on sale for 50% off. The only exceptions are Accessories, Gachas, Appliers and the latest Glam Affair release, Katra. Also not on sale are releases currently at any events or specialty release at Maitreya or Lelutka. The sale is limited to items at Mainstore location. After the sale, Tableau Vivant will be removing older hair styles from the store and placing them for sale only on Marketplace. Glam Affair will also be removing the following skins and placing them on MP once the sale is over. The skins retiring from the store are; Amberly, Kaelyn, Lucy, Vera and Zara. Do not miss out on this sale as it might be a long time before we have another! Huge HUGE thank you to all our wonderful customers, we appreciate all of you so much. If you have any questions at all, please contact Sophia Harlow. If you have a delivery issue with any Tableau Vivant item – please visit the Tableau Vivant redelivery terminal. 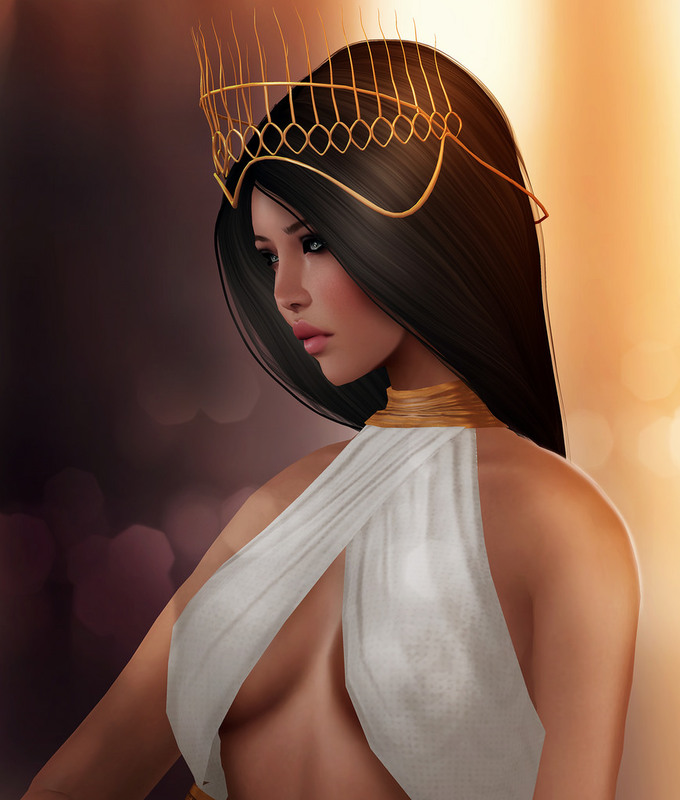 Posted on April 24, 2015 Author sophharlow06Categories EventsTags 50% Off, accessories, Glam Affair, Hair, m4rilyn magic, mesh, Sale, Second Life, SkinsLeave a comment on ~Tableau Vivant and Glam Affair~ SALE! Ready for exciting new event and releases? We want to tell you about is CoSplaySL which is a brand new event that Glam Affair and Tableau Vivant are collaborating together to bring you – Miko Chii. How does it work? Well, Miko Chii is sold with skin and hair shown. There are 11 different combinations to pick from. The hair hud sold in the pack you choose has has 30 color options to pick from. The hair comes in 3 size options. In the pack you choose, the skin only comes in one tone for all the 11 packs – Artic. There is the one makeup you choose, 6 color eyebrow options, 1 no brow option and 5 eyebrow shapes. ** You cannot mix and match the packs. They are sold as is and you cannot ask for a combination not sold. **Very important – Appliers are sold separately in the main store. ** The accessories for the hair are not color change. In the future we may change that but for now, the color you see on the pack you pick is the only color available for the accessories. The event starts on the 15th SLT and runs through the end of the month. The 8th of the month has the grid buzzing with chatter about the new round of Collabor88 and we are just as excited as ever to be a part of it and bring you new pretties. Upshaw is a gorgeous updo that is both casual and ready for the night life, babbbbby. Upshaw is no shrinking violet and the tall hair proves it! Feeling a little bit more mellow? That is okay two because each pack has two versions – A is a bit more puffy (taller) and B is a bit more tight to the head (smaller). Upshaw comes in three different options for bangs, which you can see below. Hair is unrigged mesh so you can stretch it using the XYZ axis. – 1 Optional (mod) alpha layer. As always, thank you so much for picking Tableau Vivant to make you even more beautiful than you already are. We truly appreciate your support! Hope you enjoy our releases as much as we enjoy bringing them to you!